The 2018/2019 PBMA Technical Workshops feature 15 breakout sessions that each attendee will attend. With a limit of 96 attendees per location class sizes are limited to 16 individuals per session. Every attendee will receive instruction from each participating company. Course registration fee includes all instruction materials, break, snacks, lunches, reception food and dinner on Wednesday evening. Discounted rooms are available on a limited basis at each hosting hotel, book now to save money and time later. 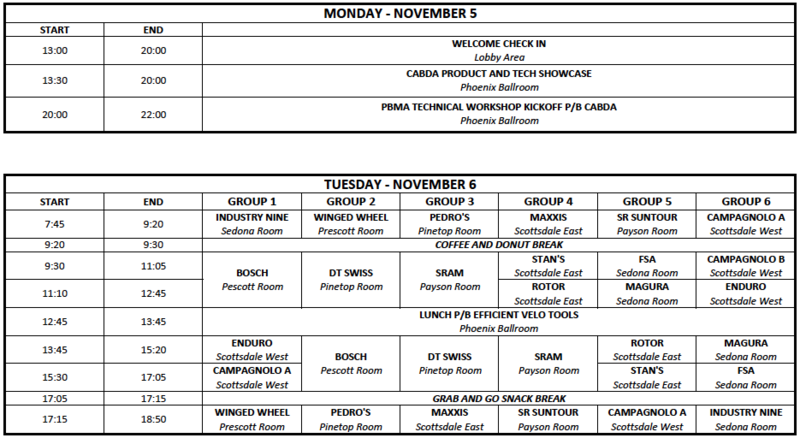 Day 1, Monday of every PBMA Technical Workshop opens with badge pickup and check-in, around noon. 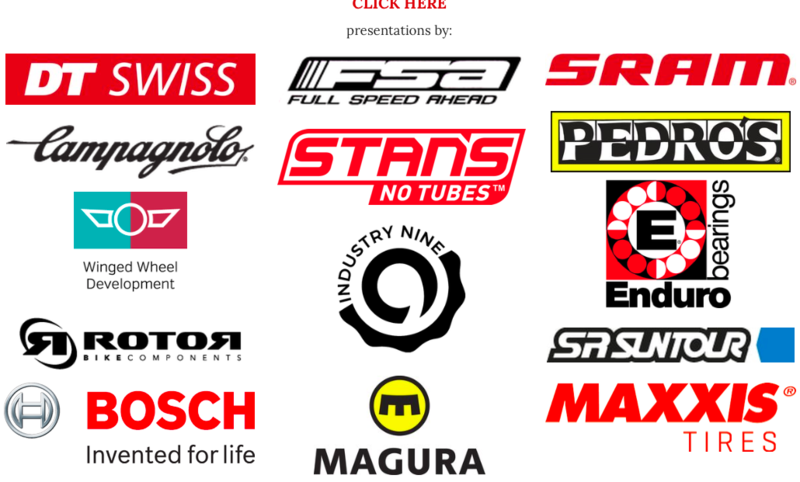 New for this year is a vendor showcase where you'll see products from sponsors as well as presenting companies. We kick the evening off with announcements, introductions snacks and drinks. Adult beverages will be available for purchase and you may purchase an unlimited beverage wristband during the registration process. The bar will remain open for two hours. Day 2 and 3 are all tech, all the time. We've brought in as many manufacturers as possible to share their direct product knowledge and technique. 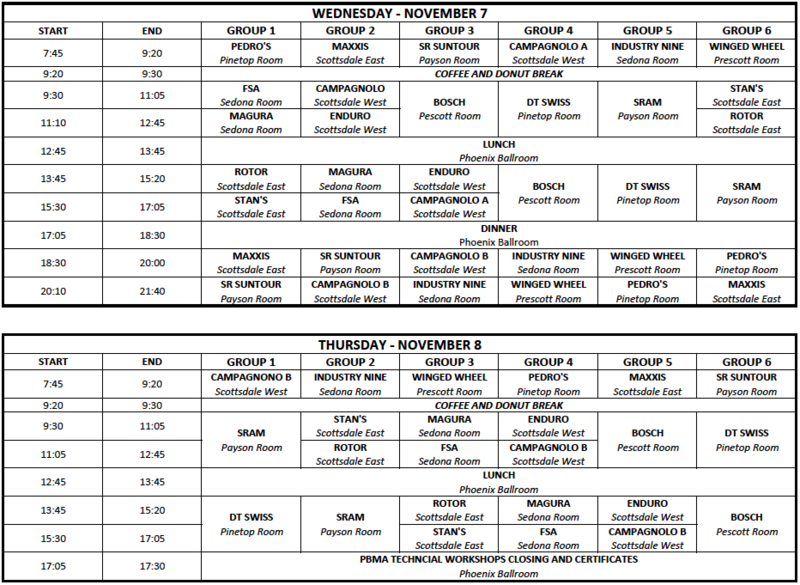 Mixed in are breaks, lunches and even a dinner on Wednesday (our longest event day). Dietary needs can be selected during the registration process so we can ensure any special diets are accounted for. Day 4 includes more tech sessions and concludes with some closing comments discussing the days and learning you've just experienced and distribution of your continuing education and training accomplishment certificates.